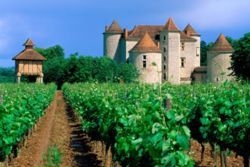 Notable vineyards include: Chateaux La Coustarelle, Château de Mercues, (restaurant, cooking school), Château de Haute Serre, Château de Gaudou and Château Eugenie. 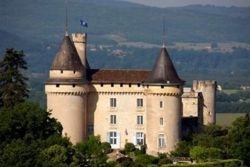 Cahors is one of the oldest of the French wines but a well kept French secret. The wine area of Cahors is older than the Bordeaux region with vines planted about 50 BC in the era of Ancient Rome. Cahors, 'Vin Noir' or black wine, was served at the wedding of Eleanor of Aquitaine to England’s future King Henry II in the 12th century. This early celebrity endorsement made 'Vin Noir' a favourite of European nobility and put Cahors on the fast track to Britain via Bordeaux. East of Bordeaux, the vineyards are set in a dramatic location around the town of Cahors on the River Lot. 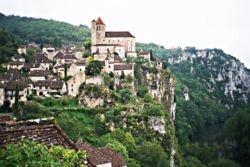 The chief town of the region of Quercy, Cahors is 2000 years old and the area features ancient medieval villages, castles, narrow gorges and waterfalls along meandering stretches of the Lot River. The weather is influenced by both the Mediterranean and the Atlantic alhough winters are colder than in Bordeaux. Cahors is a superb, deeply coloured red AOC wine, dominated by Malbec, or 'Auxerrois' as it is sometimes called. In addition to Malbec, the region also produces outstanding Merlot and Tannat wines. The reds are similar to a robust Bordeaux and do well with aging. There are some white and rose wines in the Cahors that do not have the AOC designation and are sold under 'Vin de Pays' du Lot. As well as the wine, the most famous treats of the Cahors region are confit (conserve) of duck and goose, truffles, and delicious goat’s cheese. Enjoy these at local restaurants and then rest up at romantic inns, small hotels and gites in the region. 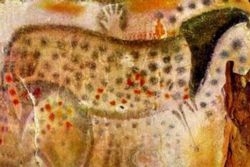 Notable destinations in the Cahors Region are Grotte de Pech-Merle, a prehistoric site east of Cahors and near the town of Cabreret with giant chambers with prehistoric paintings of mammoths, horses, bison, and human figures covering the walls. St-Cirq-Lapopie, is situated high above the Lot River east of Cahors and is one of France’s most beautiful villages with a15th Century church and charming timber framed houses.